The legendary Cardiff nightlife is synonymous with hen parties across the globe. This city draws in thousands, looking to drink, dance and celebrate in the bustling bars and clubs. From the lively Greyfriars Road, underneath the shadow of the world-famous Cardiff Castle, to the trendy Mill Lane and the chic Cardiff Bay – there’s something for everyone in this hen do paradise. Set directly opposite the magnificent Cardiff Castle, Revolution Cardiff is our first stop on the crawl. Revolution are known for their killer cocktails; from the mouthwatering Bakewell Tart to the explosive Atomic Bomb to the oh-so-popular Strawberry Daiquiri, as well as their innovative range of vodkas – including the Vintage Mint, fizzy Dr Pepper and the dangerous Chilli. This place draws in a lively crowd and the atmosphere is electric. The venue embodies the fun, yet stylish, reputation we have come to associate with Revolution – it’s all exposed brickwork, comfortable lounge areas and wooden features - and the dance floor is in a whole other league. You’ll be caught up in a whirlwind of dancing and drinking until the very early hours. Smart casual, no sports trainers, hoods or baseball caps. Fancy dress is allowed, providing it can not be deemed offensive. The Slug and Lettuce is a bit of an old classic on your hen weekend. This brand has built up a fabulous reputation and, with the brand undergoing a bit of a style revolution, Slug and Lettuce Cardiff is a top spot on your night out. The décor is lavish and gorgeously glamorous; with sumptuous sofas, deep purple furnishings, chandeliers and floor to ceiling glass windows. This venue is marketed towards those who appreciate a heavenly cocktail, as well as some delicious cuisine – you’d be crazy to miss out on the Slug. 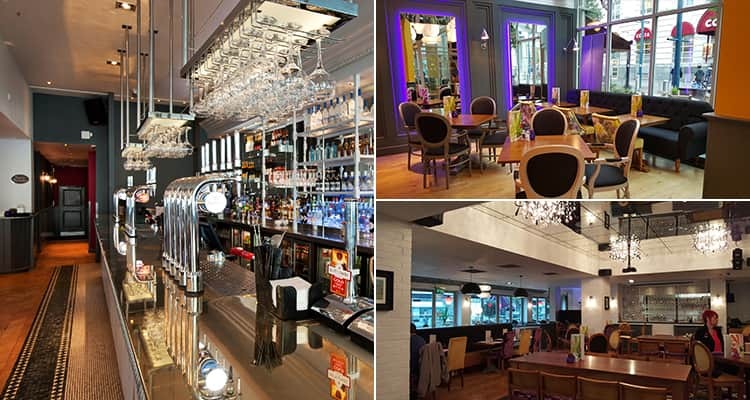 It’s also excellently located on the strip, located in The Friary Centre, just next door to Revolución de Cuba – perfectly placed to spend the night celebrating. 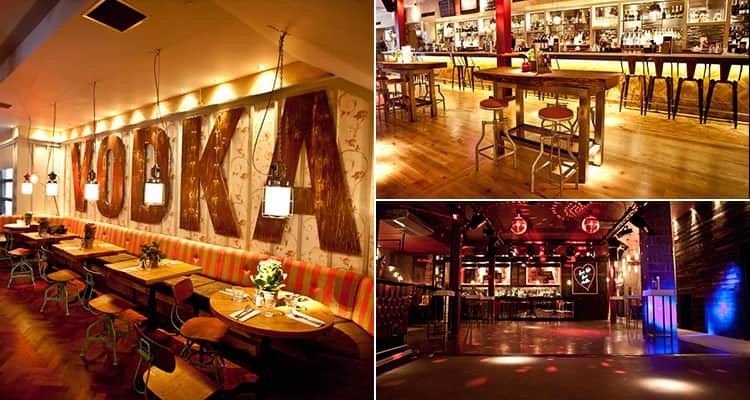 Step into Havana heaven in the bustling centre of Cardiff. 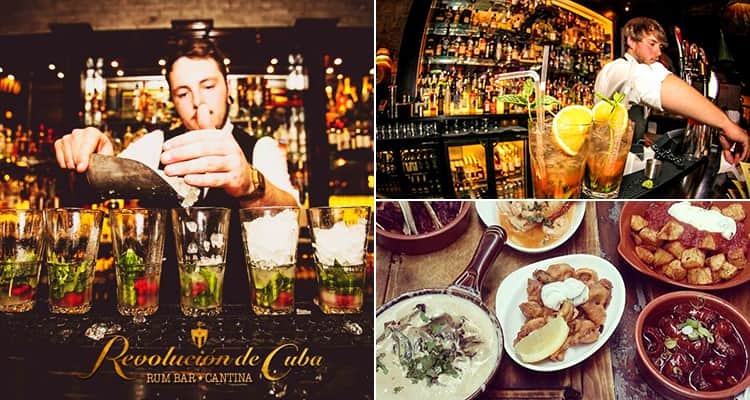 Revolución de Cuba is the new kid on the block in Cardiff and is already proving a huge hit with both tourists, and locals. Set on the wonderfully lively Friary – just across the road from the huge Cardiff Castle - this place is a little slice of Cuba in the heart of Wales; serving an extensive range of delicious tapas dishes, whilst you are serenaded by the Cuban band that are sure to get everyone in your group up and performing the salsa with a cocktail in hand. From the Tiki Classics such as The Zombie to the fruity Strawbana Rumrise, the Cantinero Hemingway Daiquiri to the lethal Mexican Breakfast - as well as an extensive spirit list, sultry lounge areas and mysterious and alluring lighting – Revolución is a Cuban paradise. Tiger Tiger is the ultimate party venue on your Welsh hen weekend. As one of the leading clubs in the city, this is where the glamorous things of Cardiff descend to drink, dance and flirt the night away. 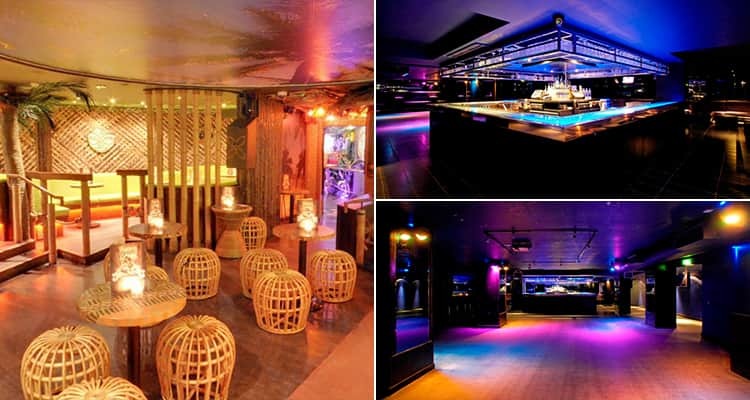 There are seven uniquely themed rooms in Tiger; from the sun-kissed Ibiza inspired dance rooms to time-warped 80s rooms with light-up floors to the lively Groovy Wonderland – it has everything you’ll ever need. You can even unwind with a glass of bubbly in one of the exclusive rooms (if the dancing becomes a little too much) - such as the tropical hidden gem, Kanaloa Bar, or the opulent Jewel Bar. Tiger Tiger serves a whopping range of cocktail concoctions, the Lemon Fizzazle and Jellybean Burst to name but a few, as well as a fantastic variety of dishes. This is a hen do haven. 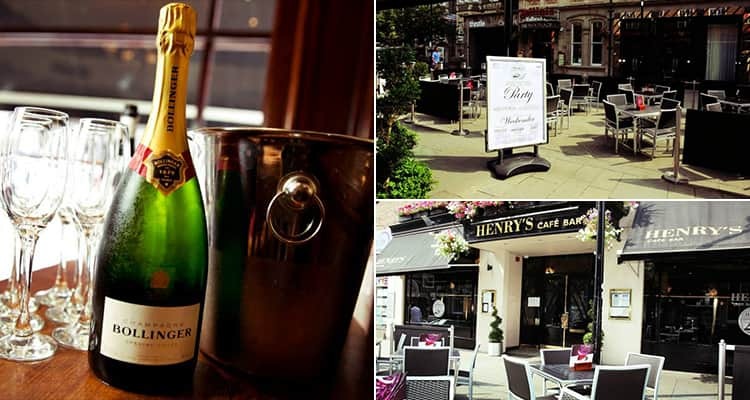 Henry’s is a large, open plan wine bar – perfect for your hen party. It’s located on the bustling Park Place, just a short stroll from the legendary Pryzm nightclub and the gloriously lively strip of Cardiff. Henry’s is opulent, luxurious – with chandeliers and plush furniture - and serves a wonderful selection of drink. To add a touch of sophistication to your crazy hen weekend shenanigans, you can also sit down to afternoon tea in the restaurant. The drinks menu reads like a who’s who of cocktails – with everything from modern concoctions to classics, and they even serve a range of Japanese Whiskey’s if that tickles your fancy. This is a beautifully glamorous way to spend your hen weekend celebrating with the girls. Pryzm is the largest club in Cardiff. This modern day coliseum has a whopping 10 bars, as well as seven themed rooms – including three awesome music rooms (the Groovy Room is party central), two cocktail bars and, we saved the best until last, a karaoke room. Heaven. There are also lavish VIP and booth areas for those looking to sip champers away from the rowdy crowd. Not only can you showcase your finest moves in one of the fabulous music rooms, but Jongleurs Comedy Club is next door to the venue as well – this place is massive. After dark, Pryzm is the hub of Cardiff’s legendary nightlife - attracting a young crowd ready to drink and dance with the best of them. 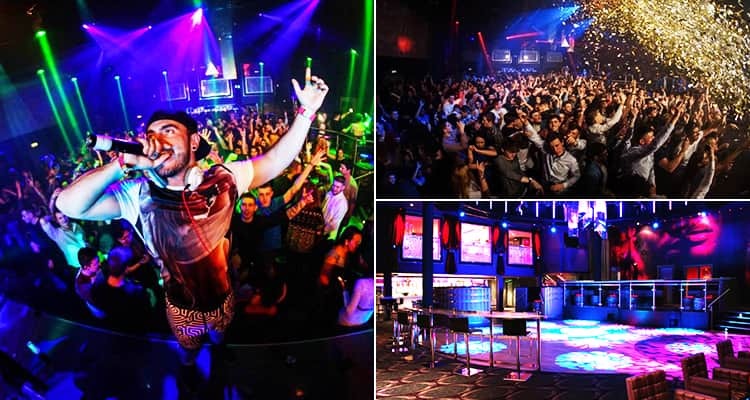 For those looking to party hard on their hen weekend, Pryzm is the place to be. Experience Cardiff's legendary nightlife, and find out what you can do in the city on our Cardiff Hen Weekend page - including fabulous activities and relaxing accommodation.